The Huawei P20 is the follow-up to the brand’s P10 model. The new smartphone comes off as the flagship of the company, aiming to fight against similarly powerful models from Samsung and Apple. While the regular P20 struggles a bit to hit the par in terms of highest-end performance, it is the Huawei P20 Pro that takes on the fight to Samsung’s homecourt. With one of the greatest cameras ever to be integrated in a phone, Huawei P20 Pro is the current choice for photographers when they’d rather or can’t have their DSLR around. With Leica lens, the P20 Pro catches amazing shots in any environment, in almost any light condition. The screen is as bright as it gets and the plentiful battery ensures there’s enough juice in there to keep the phone running for more than just a few hours. While there is no headphone jack nor wireless charging, the Huawei P20 and P20 Pro come out as tough competitors for Samsung and Apple as well as a refreshing choice for high-end smartphone consumers. The Huawei P20 and P20 Pro have the ability to mirror its screen to a larger display, like that of a TV. This allows you to stream FullHD (and even 4K) content to a smart TV that supports the feature, as well as play games at a higher resolution. Here’s how you can connect your Huawei P20 and P20 Pro to a TV. Getting your Huawei P20 or P20 Pro to mirror to your TV can be done in more than one way. One of the fastest ways is to use a compatible cable and turn your phone and TV into a desktop and monitor assembly. Huawei P20 Pro comes with a desktop mode called EMUI Desktop, or otherwise known as Easy Projection. This little gimmick lets you connect the phone to a monitor and turn it into a fully fledge desktop PC. It goes great with office work and regular web browsing. In order to take advantage of the EMUI Desktop, you need just an USB-C to HDMI cable. This is particularly nice since Samsung’s flagship won’t do the trick unless you get an expensive docking station. 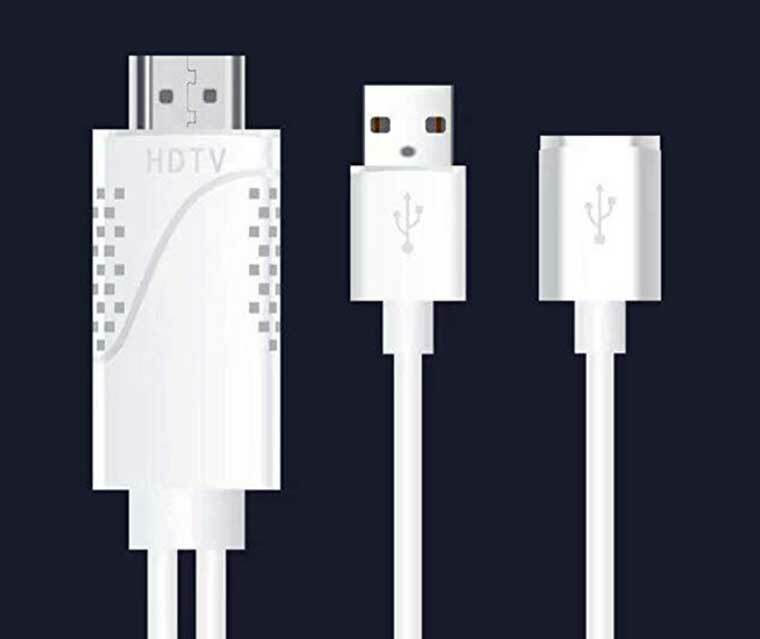 Most decent quality USB-C to HDMI cables will support resolutions up to 4K at 60Hz. Get the phone and the monitor connected via cable and you’re ready to go. Once you turn on the EMUI Desktop, the phone itself becomes a touchpad, letting you move the cursor on the monitor screen. Tapping on the screen will open a virtual keyboard. However, in order to get more productive, you will most likely need an actual keyboard and mouse. Typing short texts is easily done with the virtual keyboard, but doing a 3-page report using the same technique gets exhausting. So, by using an USB-C hub, you can get a keyboard and a mouse to work with the Huawei P20 Pro smartphone. Another option is to choose a Bluetooth keyboard. Not only that this way you enjoy the benefit of better typing and browsing, but you will also be able to use your phone normally even when running in Desktop mode. Google Chromecast is an amazing piece of tech that has been around for quite some time now. It is the perfect aid for Android and iOS users alike whom wish for a quick and efficient way to mirror their phone’s screens to a bigger Tv. On the plus side, Chromecast comes on the rather cheap side of the price range and also provides quick setup options. 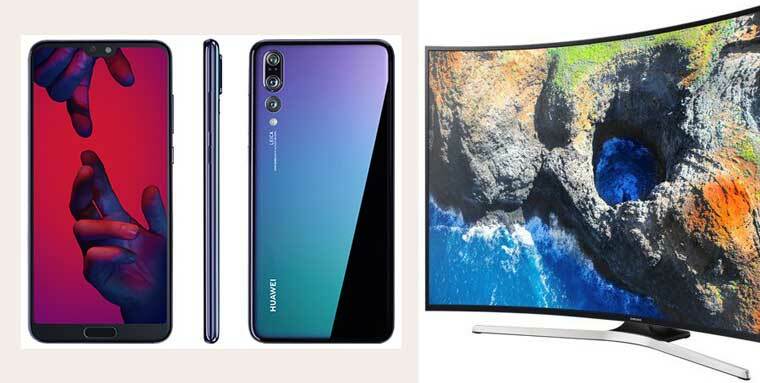 There are just a handful of phones that aren’t able to integrate Chromecast – fortunately, the Huawei P20 and P20 Pro aren’t among those. In order to mirror your Huawei P20 or P20 Pro display to a TV via Chromecast you first need to get Chromecast connected to your TV via HDMI and also to a power source via an accepted adapter. Huawei P20 and P20 Pro connects to Chromecast via Google Home App as long as both devices (the phone and the dongle) are connected to the same WiFi network. The main advantage of the method is that it lets you still use your phone for other purposes even when it streams its display to the TV, as long as you keep the Google Home app running in the background. Please remember that external power is required when you wish to pair Chromecast with a 4K TV, as the HDMI cable cannot supply enough electric power for this task. 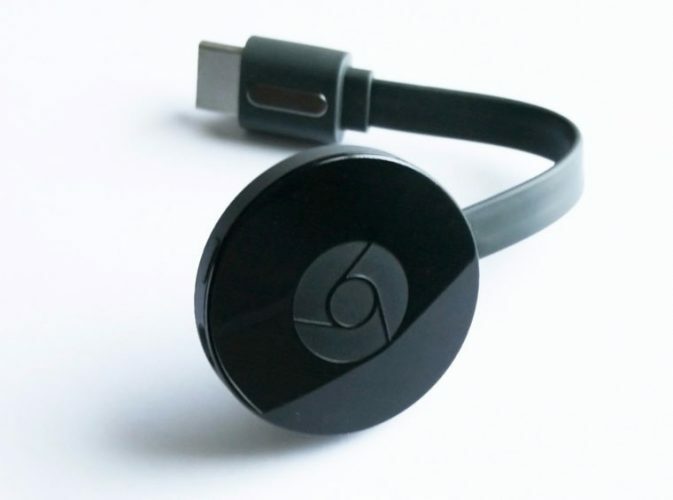 Or, simply connect your Chromecast to an Usb port if you have one on the Tv, to power the device. If you own one of the more recent Smart TV models, there’s a good chance that it may support Miracast( screen sharing). 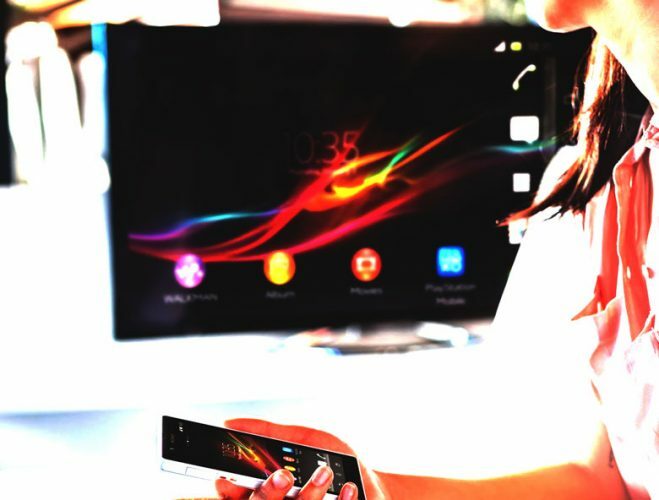 Miracast is a built-in feature which allows you to pair your smartphone and TV without the need of cables or any other third-party hardware or software. We talked about it in the past. Go to your phone’s Settings menu, tap on Display, then select Turn On MiraCast. Finally, wait for the phone to scan and detect your TV and select it from the list. It may take a little bit longer for your phone to pair via MiraCast compared with the other options, however it works well given you no longer depend on third-party elements in order to have your phone’s screen displayed on the larger TV screen. With the enhanced power output of modern phones, displaying their screens on a large TV makes plenty of sense. You get to watch high resolution media such as photos and videos and appreciate their details to the fullest extent. 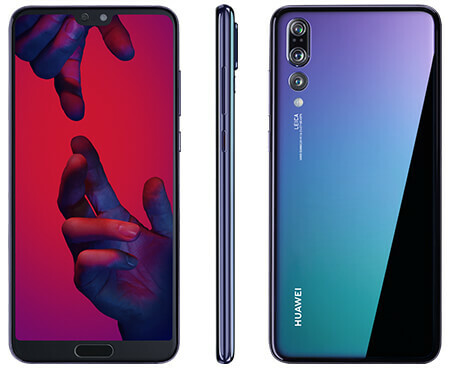 Furthermore, with the case of Huawei P20 Pro, you can easily convert your phone into a workstation that lets you fiddle with office files and browse the web almost in the same way you would with a laptop or notebook. In cable connection you only mention the p20 pro. How about the p20? The wireless projectio cannot connect to tv. Its always un available. When i project my p20 to my samsung tv wirelessly, it works however when i press play on a movie it does not mirror the picture only the audio. Example with Netflix i can see everything on the screen until i press play and then i get audio but no picture on the tv. I have the exact same problem as Loanne above, all sound but a blank picture. Any ideas?